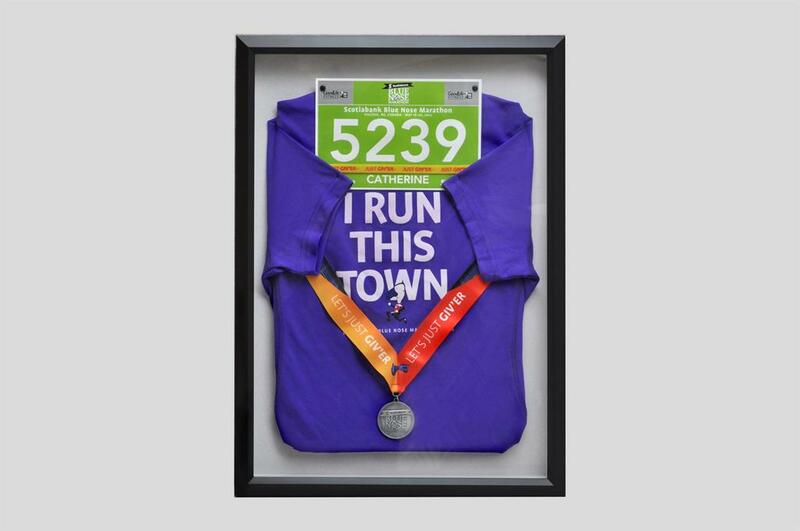 Check out our great framing examples! You’re sure to get inspired! 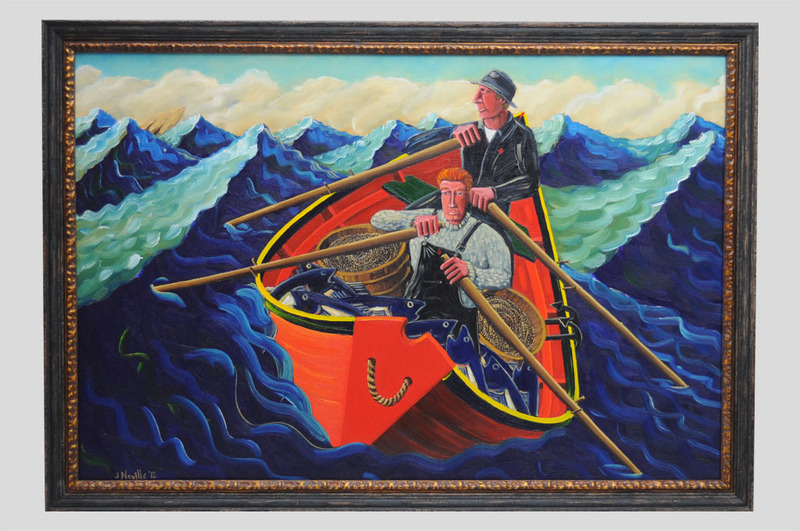 This painting was dark and dirty having been stored in an attic for many years. 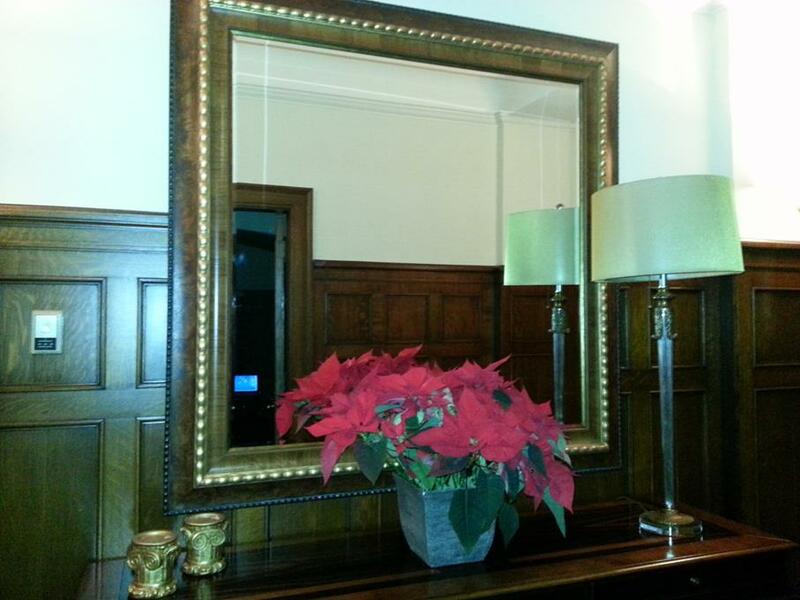 A professional cleaning and re-varnishing brings out details that with a new frame make it shine as if it were new. 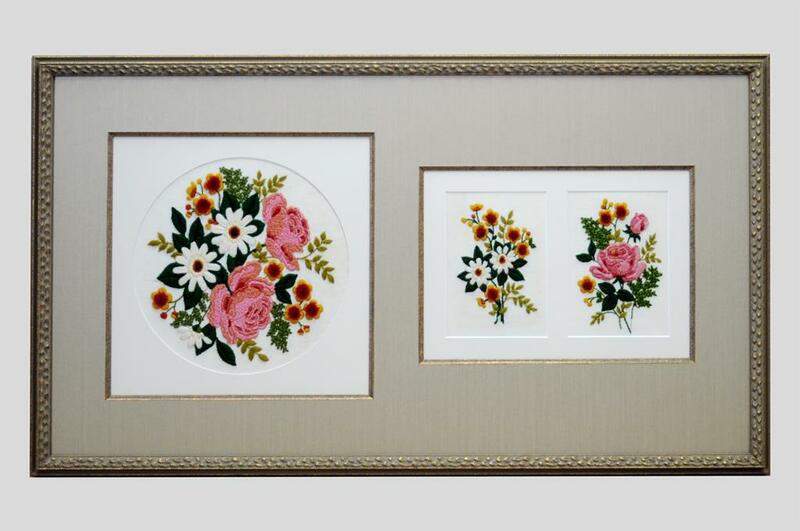 An original Canvas from Portugal that we stretched and framed in 2 beautiful frames and inner filet. 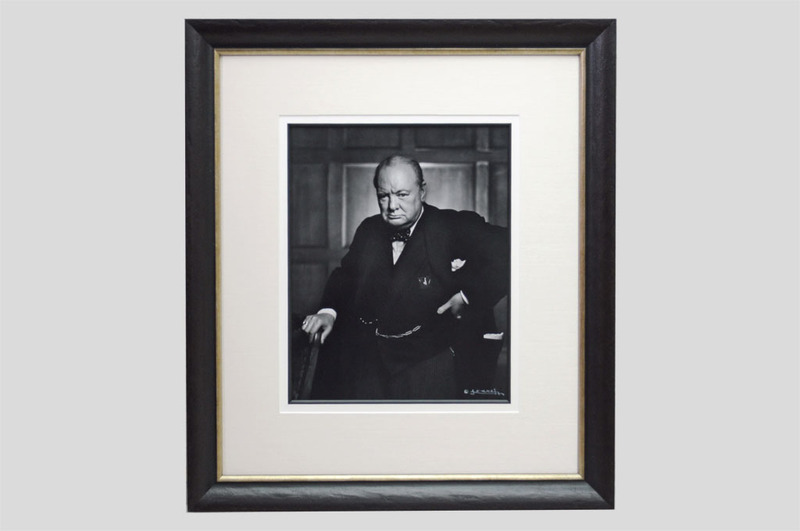 An original Photograph of Winston Churchill by photographer Yousuf Karsh, tastefully framed to last generations. 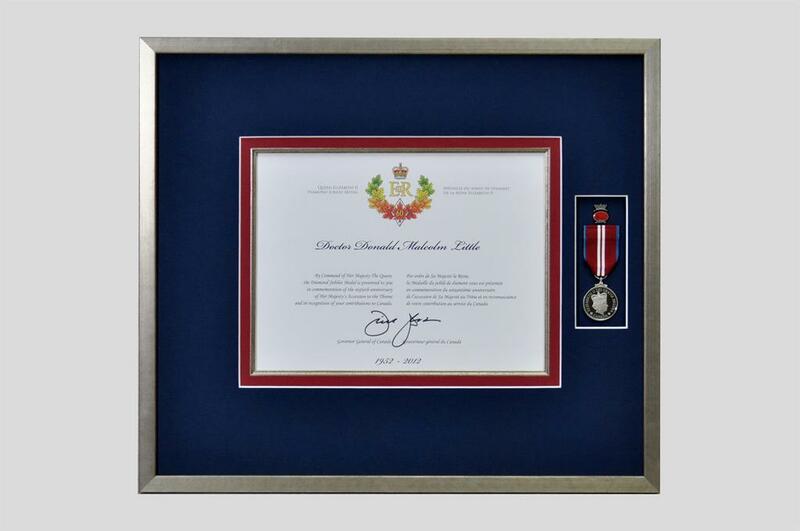 Queens Jubilee Medal and Award. Take those special awards out of the drawer and give them the recognition they deserve. 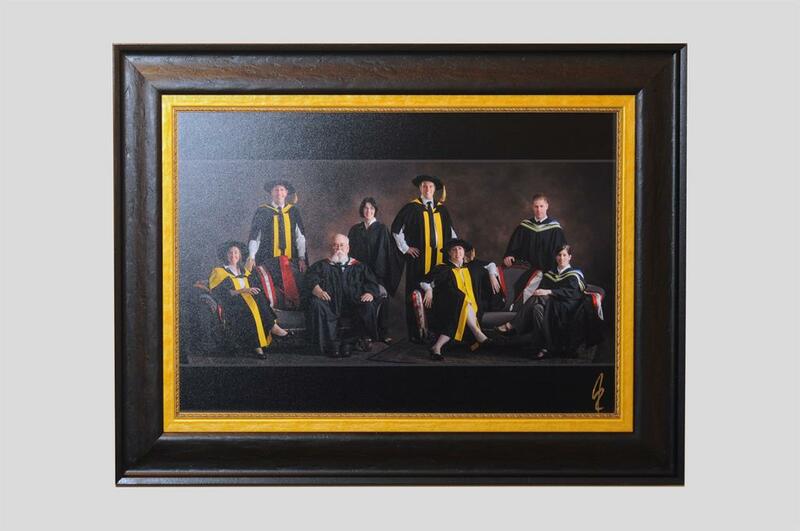 What better way to recognize your family’s accomplishments than with a group photo in caps and gowns tastefully framed by us. 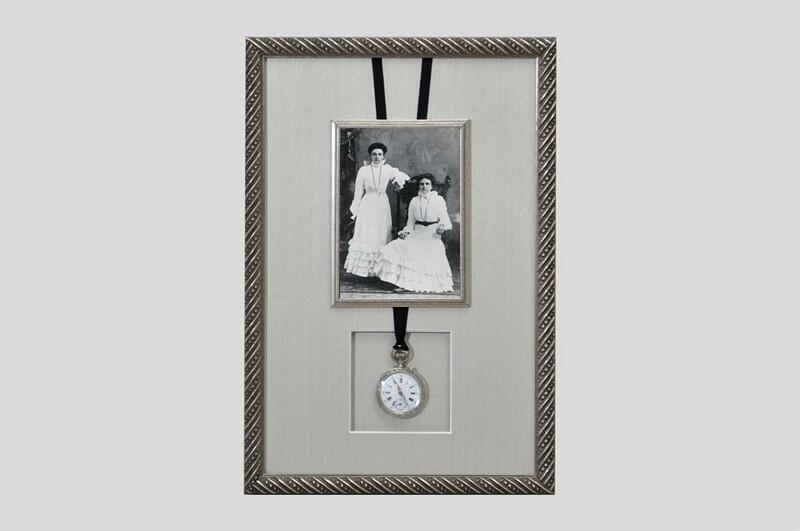 Special keepsakes framed with a family photo keep history alive for generations. 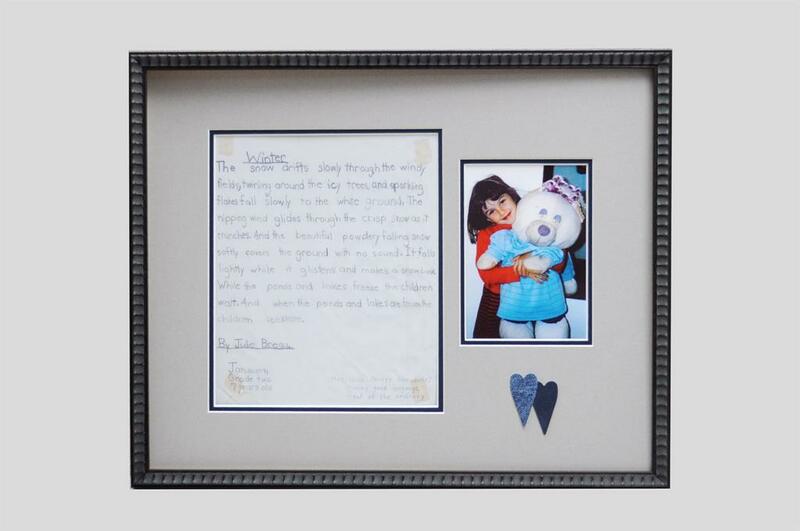 Daddy’s little girl keepsake given to her on her wedding day. 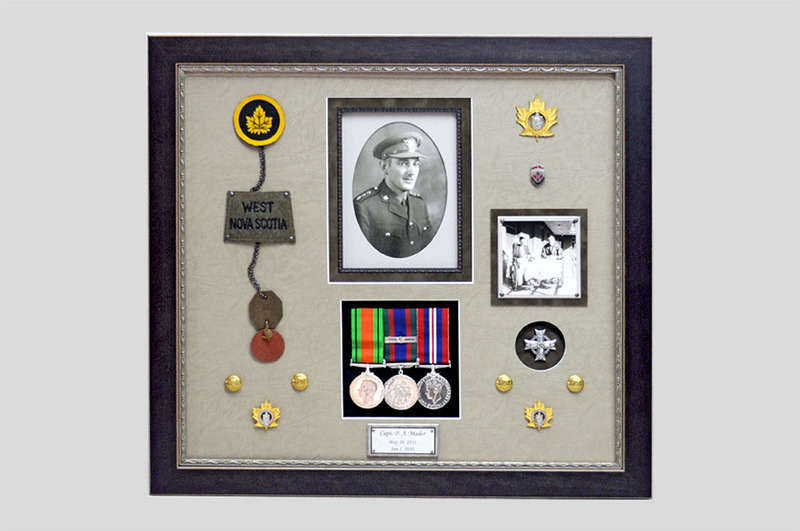 A special collage in memory of Capt P A Mader completed for his daughter Ruth. The Silver Cross pendant is removable, enabling Ruth to wear it annually on Remembrance Day. 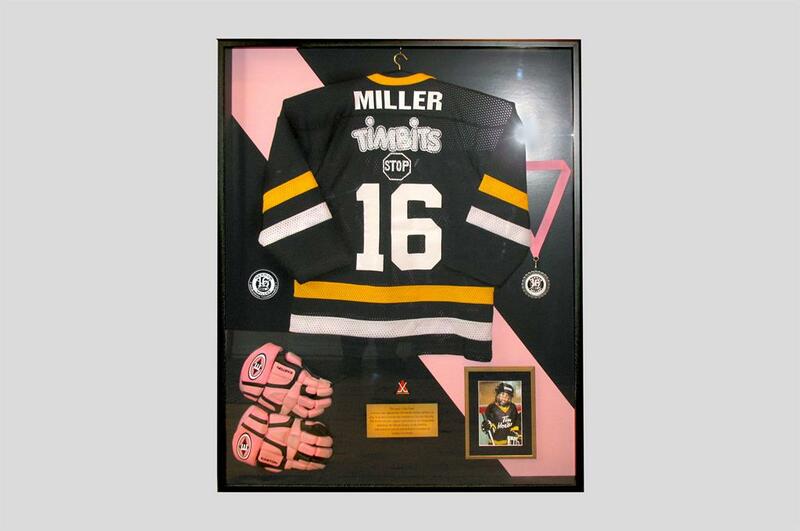 This framed piece commemorates a young female hockey player who passed away too soon. It hangs in our local Hockey Arena where an annual tournament is played in her name. What a fantastic way to recognise years of service or an outstanding career. 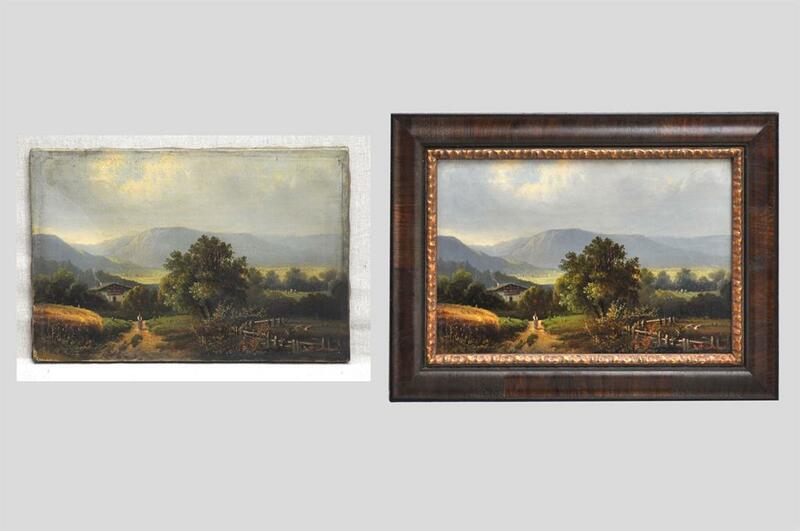 Our Framing Examples Don’t End Here! 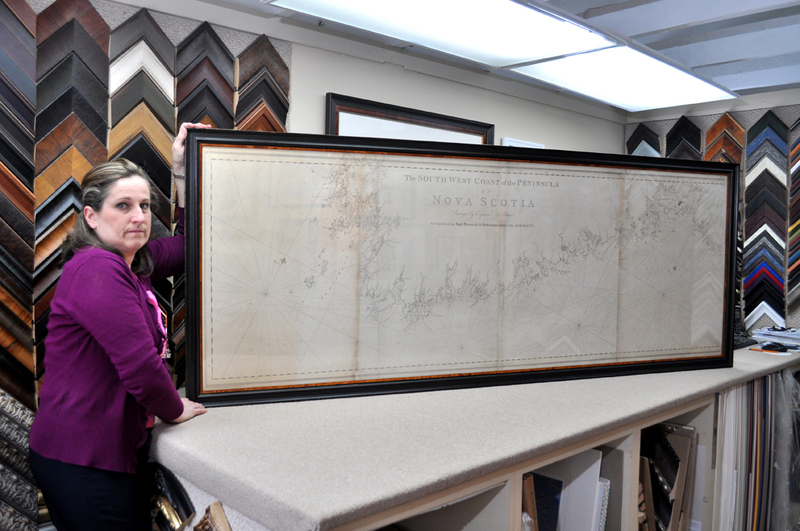 Stop by our Wolfville location to see many more examples of the framing work we do. We know we’ve got a lot of images here in our Inspirations Galleries, but we also know it’s great to see things in person. Come by today, talk with our knowledgeable staff, and tell us about the projects you have in mind. 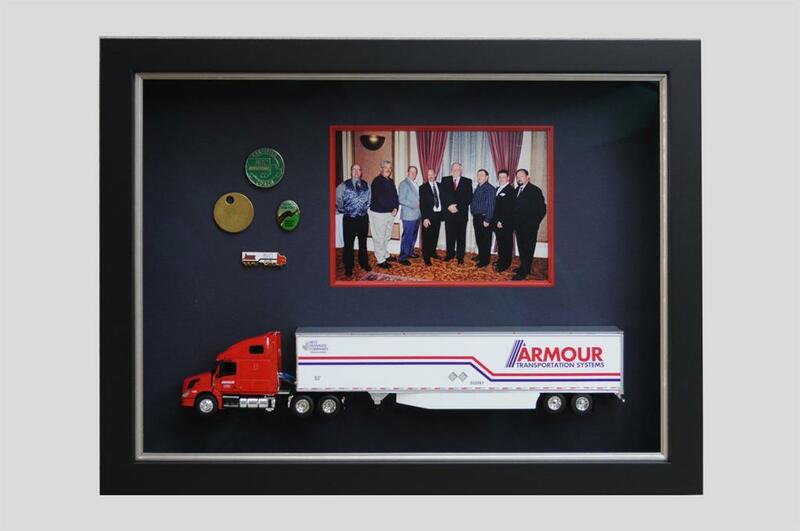 It’s not just custom framing, we deliver the whole package on presenting what you have in mind! 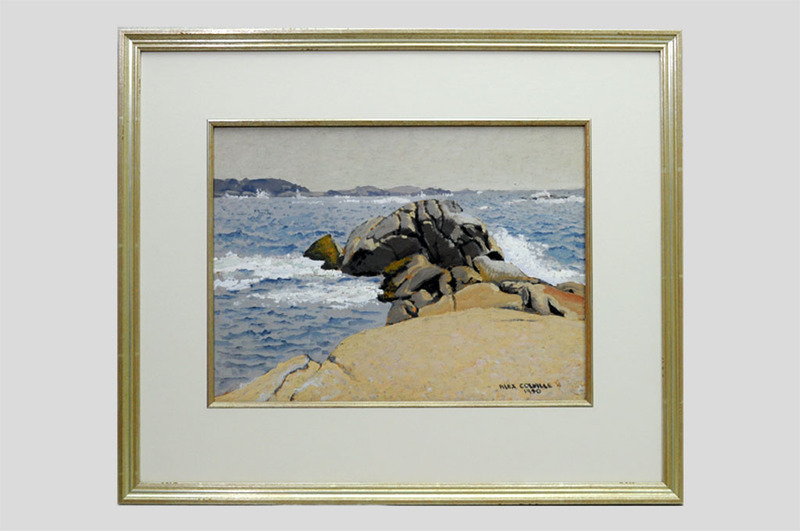 If you love seeing what’s new and fresh from The Perfect Corner Custom Framing , pop over to our Facebook page and give us some love: Take me to Facebook! 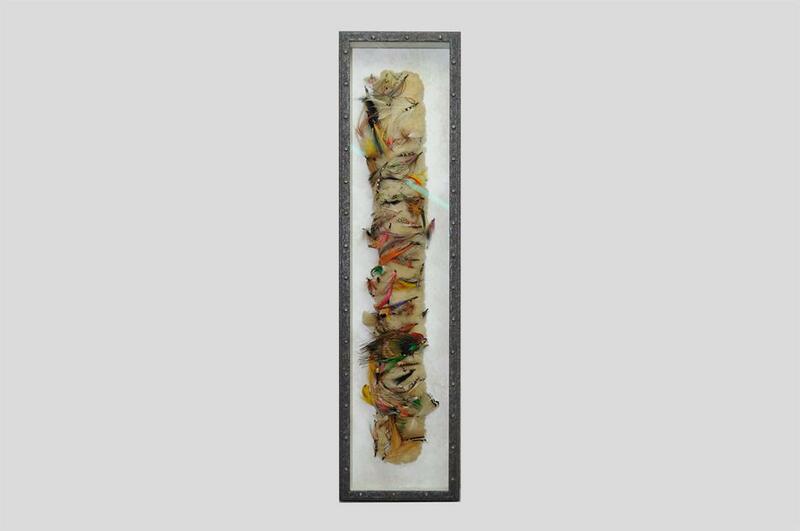 The Perfect Corner can frame just about anything for you. 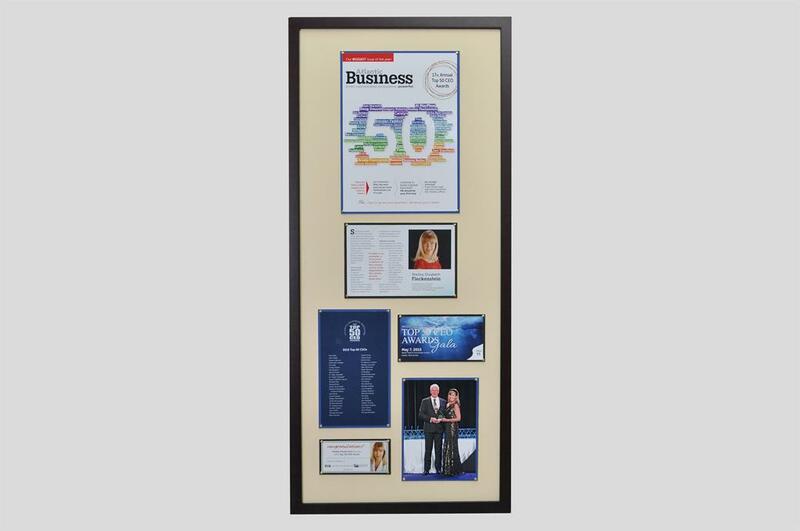 To learn more about our framing services click here. I just wanted to let you know that it’s been great working with you. I appreciate all your help and suggestions with the framing and placement of my pictures. I’m thrilled with the results. You’re amazing!